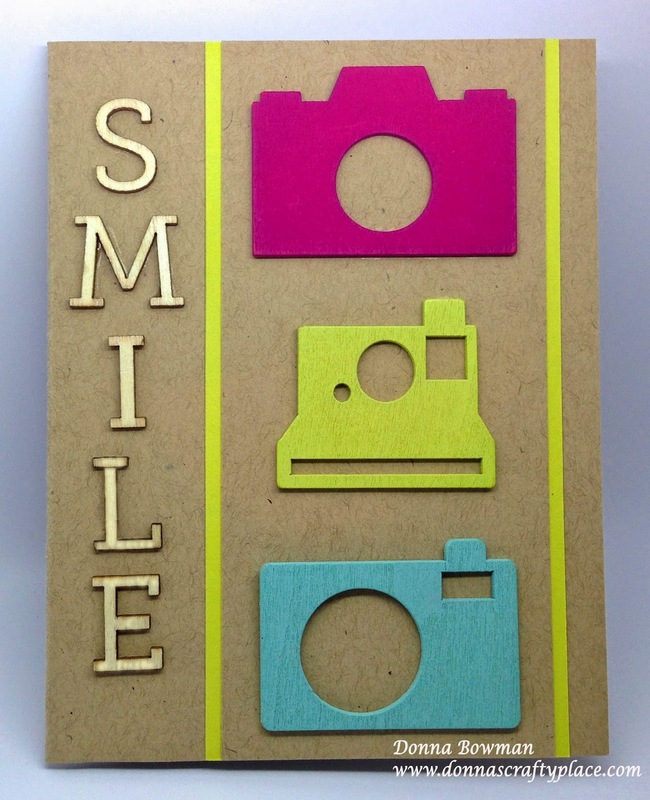 I made this card for the Moxie Fab World Clicking Cameras Challenge. I used colored wood cameras by Recollections that I bought on sale at Michaels last week. I love the colors and how graphic they are. The wooden letters are from Studio Calico. The papers are from Papertrey Ink, the green is Limeade. This is one of my favorite types of cards to make - colorful CAS. This was a very fun challenge for me. Thanks for stopping by! How fun and what a great use of the wood shapes too! I love that 'smile'. The colors are great together too! Your bright colored cameras and wood letters just POP against the kraft! FAB card, Donna! I love the bold graphic feel of this card, as well as your fabulous use of colors. Blessings!